Aromas of rich, raisined fruit greet the nose. The palate is one of luscious fruit, with a lovely long finish. Each year Muscat grapes are havested at high sugar levels. This wine is then transferred into barrels and casks of different volumes (generally for anything between 2 and 5 years for this Rutherglen classification). These parcels are then blended to produce youthful, fresh wines some some complexity and concentrated flavours. 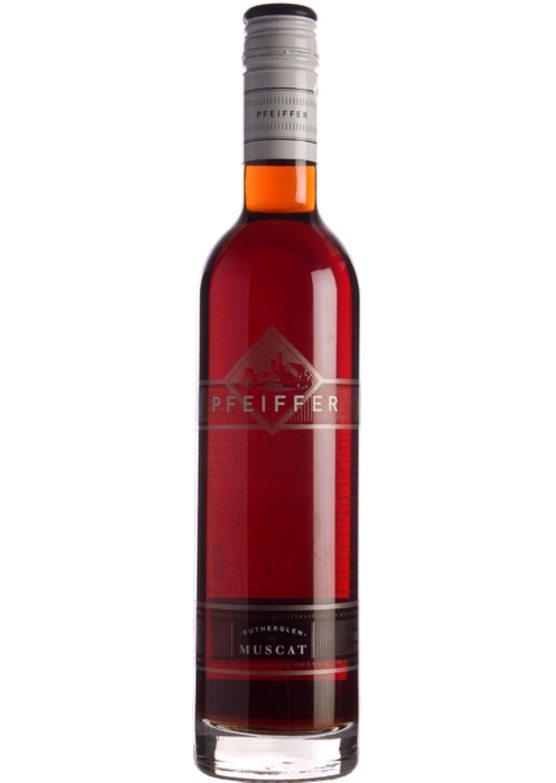 The Pfeiffer Rutherglen Muscat is a fine example of this classifiction and displays floral and raisin fruit and a rich, luscious palate. Wonderful with Christmas pudding, although try the wine at other points in the year - chilled with spicy tomato soup, chicken liver pate, honey glazed duck or blue cheese.